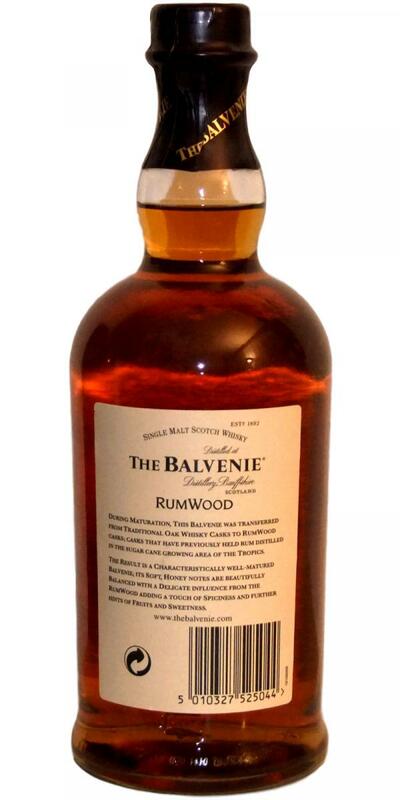 AGED 14 YEARSA limited edition bottling in 2006, The Balvenie RumWood spent its final 18 months of maturation in 14 casks which had previous held rum from Guyana and Venezuela. 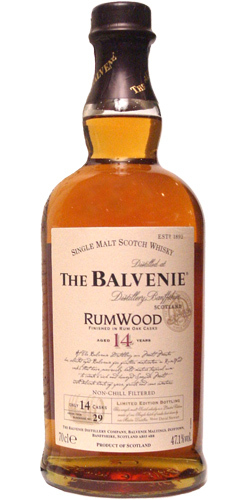 The Balvenie RumWood was non chill filtered and was bottled at a strength of 47.1% abv. The aroma of The Balvenie RumWood balances rich honeyed fruity notes and candied orange-peel with a hint of oak and a gentle touch of spice. Its taste combines soft toasted oak notes, vanilla, fruits and spice with a tropical sweetness. running out sooner or later so get it while you can.